Home Tech & Appliances	Are You Ready To Game Louder with an Amazing Gaming Headset? I know a little bit about gaming today. From Fortnite to Overwatch to Minecraft to Roblox and more, there always seem to be an amazing and immersive new experience to enjoy. My kids, certainly more than I do, love and appreciate all of these games. They all really love their own set of games and play them in their own ways. One of them most striking parts of the games today are the amazing graphics and gameplay. It really feels like you are right in the game, in there with the good guy and with the bad guys. It’s pretty crazy really. While I still love my Mario Bros. and Donkey Kong, anyone can see how the video game world seems to progress daily with new and more amazing features. While it is pretty obvious that the look and feel of the games have gotten so much more sophisticated, there have been real improvements in the overall experience, meaning the sound has gotten to so much better as well! Gaming-realted audio and the associated equipment has gotten to be pretty amazing. No more tinny, mediocre computer generated beeps and bips. It’s all out sound that’s more realistic than ever. And as far as my kids are concerned, Louder is better! 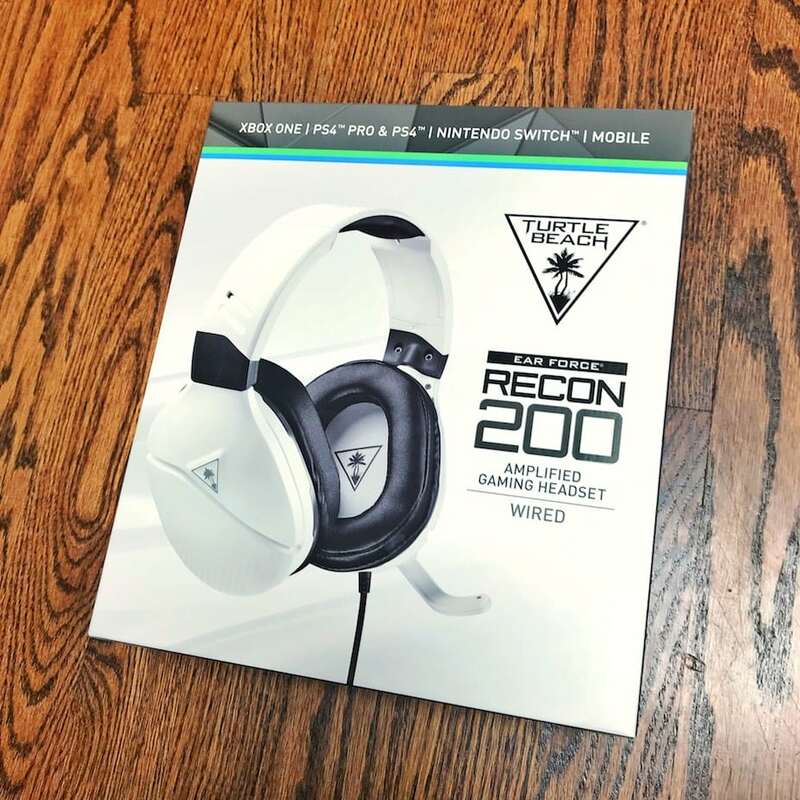 One of the best and most affordable (so important, right) ways to really get the most of your gaming experience has to be to immerse yourself completely with the Turtle Beach Recon 200’s powerful amplified audio with enhanced bass. It’s awesome, baby. 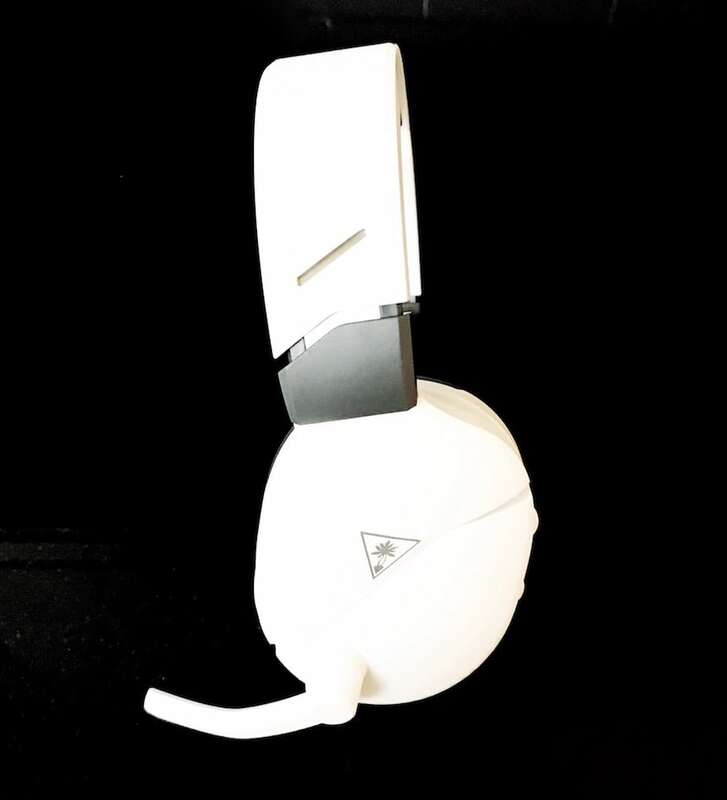 Get this…whether you play on Xbox One, PS4™, Nintendo Switch™, PC, OR Mobile, the Turtle Beach® Recon 200 gaming headset delivers high-quality game sound and crystal clear chat through its 40mm speakers and high-sensitivity flip-to-mute mic. This is crazy cool, since my kids game on all of these consoles. 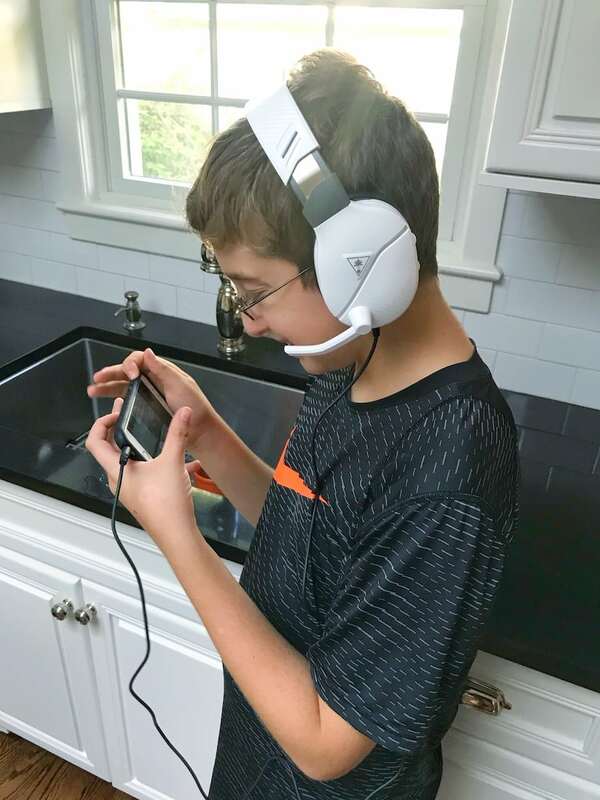 It’s nice to have a one-gaming headset-fits-all solution. So much easier. One thing I really appreciate is great design. When form and function meet, something great is typically created. I liek that. It’s what great products and quality design is all about. The better design leads to a better, more complete user experience just about every time as well. The Recon 200’s lightweight design, metal-reinforced headband, and synthetic leather-wrapped memory foam cushions provide added durability and unmatched comfort. While style is great, something like a headset (that kids will be using) needs to be comfortable or else it will just sit there, unused. In my house, at least, everything also needs to be made well…or else it won’t last very long. The Recon 200 seems to check all the boxes, plus it can be used and used over and over! It has a rechargeable battery that delivers over 12-hours of gaming per use, so that’s pretty sweet. It also features onboard controls for Master Volume, Variable Mic Monitoring, and for selecting between Xbox One and PS4™, making it that much easier to use. It’s all about that Bass Boost, right? Sorry, that was bad, but true. 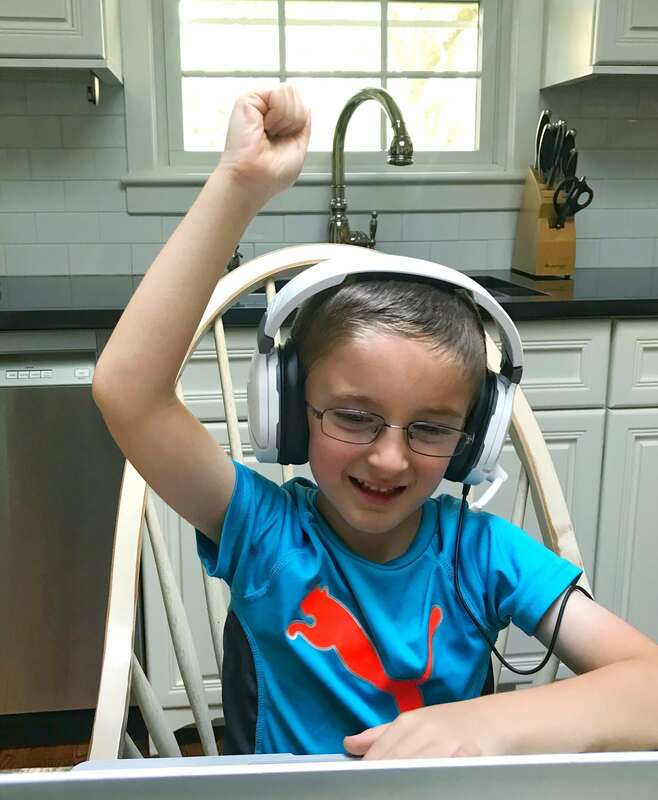 With these bad boys, my kids don’t just hear the bass…they feel it, too, making the experience that much more immersive. The high-quality 40MM over-ear speakers really create beautiful, crisp highs and thundering lows. And it’s not all about what they hear! There’s just as much thought put into what they can say, too. The high-sensitivity flip-up (to mute) mic works really well, picking up their voices loud and clear, so their friends have no problem hearing where to go and what to blow up! It’s also really easy to adjust the volume of your voice inside the headset, so you never have to shout…thank God for that. Big win, big win indeed. The Recon 200 works great with Xbox One, PS4™, Nintendo Switch™, PC, and Mobile!!! That’s amazing, right??? Pick these up on Amazon (MSRP: $59.95) right now!! Those speakers look fantastic. I love the quality, and that price point is pretty sweet! These sound awesome. My boys are both gamers and I totally want to get them each one of these headsets. It looks really cool! My son will surely love that!